For almost 14 years, SyFy channel's Ghost Hunters gave viewers some eerily good entertainment. The ground-breaking show paved the way for other network reality ghost hunting shows while shining a spotlight on the ghostly side of the paranormal world. On October 6, 2004, with the premiere of Ghost Hunters, the paranormal suddenly become a very lucrative field for the TV industry. Prior to Ghost Hunters, the majority of ghostly TV series languished and died. While novels of the macabre, like those from Ann Rice, and various big screen flicks like Ghostbusters enjoyed large audiences, for some reason television never sustained the public's interest with various paranormal shows. 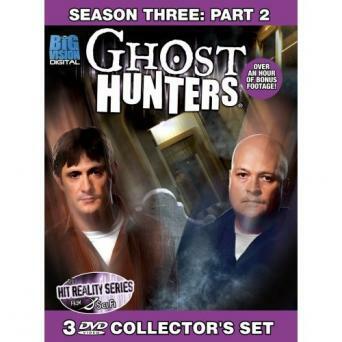 However, the reality TV boom hit big, and the timing was perfect for the Ghost Hunters TV series. The last episode was aired on October 26, 2016. A number of shows about ghosts, hauntings and more have garnered a loyal audience. However, none have been as successful and high-profile as the SyFy channel's Ghost Hunters was. Whether you truly believed that everything presented in each episode was genuine, it certainly was entertaining to watch the adventures of Jason, Grant and their crew as they investigated one reported haunting after another. Sometimes, they found evidence to support a home owner's claims of paranormal activity. Other times, they were able to debunk the reports and give the location an "all clear". You never knew what would happen when you tuned-in each week for more ghostly encounters. Each episode began with a client's request for help from The Atlantic Paranormal Society (TAPS). This Rhode Island-based group investigates paranormal activity and was the inspiration and lead for the show. The team traveled to the location, listened to the client's claims of activity and then spent a night (sometimes more) investigating. They combed through hours of video and audio tape as well as compared any personal paranormal experiences they had against potential evidence. Each show featured a wrap-up segment called "The Reveal". During this time, the lead investigators shared their findings with the client(s) and declared the location either having paranormal activity or ghost free with plausible explanations given for the unusual activity. The cast of Ghost Hunters changed a bit over the years, but the lead investigators, a couple of plumbers from Roto-Rooter, were the anchors of the show. The two provided guidance to the other investigators and established a protocol used throughout the show. One of the most interesting aspects of the series, aside from the paranormal activity portrayed on the show, was the use of a variety of electronics to detect the presence of unusual energy that was interpreted as a spirit. Digital video camcorders were used to record any activity that took place during the investigation. These devices captured video, but also picked up EVPs that often weren't heard during the investigation but were revealed during later analysis. EMF detectors measure electromagnetic fields of the area being investigated. Students of the paranormal believe the presence of spirits may cause an unusual spike or fluctuation in these readings. Ghost Hunters also used the device to track electrical activity from improperly functioning fuse boxes and wiring in an attempt to debunk reports of ghost, or spirit activity. It was commonly acknowledged that the high readings found around electrical boxes could cause a person to feel strange as though he/she were being watched. Thermal imaging cameras display images in terms of the heat signature items and people/animals give off. Anything that gave off a red color signature was of special interest if it wasn't a person or animal. It was then interpreted that the heat could be generated by the spirit manifesting, especially if the signature had a human shape. Thermal scanners are normally used to gauge the temperature of a location, a significant and sudden drop in temperature (aka cold spot). It is also believed to indicate the presence of a spirit drawing energy from the environment in order to manifest itself somehow in the physical. The crew used these regularly on the show. Audio recorders were used in the show to record electronic voice phenomena (EVPs) that may not have been heard at the time of the investigation. The team captured some dramatic and unexplained voice recordings in several episodes. The investigators typically asked questions of a suspected spirit presence and waited a moment for the spirit to respond in some way. If a spirit seemed to respond directly to a question, it was often interpreted as a sign of an "intelligent haunting". This meant the spirit was aware of the investigators' presence and was willing to interact with them. The Ghost Hunters documented some memorable adventures over the past 14 years. A few stood out from the others offering some of the best paranormal evidence. In this episode of the Eastern State Penitentiary investigation, the team captures footage of a mysterious black figure. The dark figure seems to appear out of nowhere and then runs down a corridor. Just as suddenly as it appeared, the apparition disappears. At the Race Rock Lighthouse location, the team recorded footage of a folding chair in the lighthouse attic that appears to move by itself after Grant leaves the room. The Massachusetts Armory episode includes a particularly dramatic moment when sound man Frank DeAngeles is apparently knocked to the ground by an unseen entity. Replays of the footage show Frank's equipment bag rushing up on its own to slam into his body. Princess and EVP is the title given to this EVP captured in Room 314 of the Omni Mount Washington Resort in New Hampshire. The resident ghost seen as a lady in white is believed to be Carolyn, the wife of Joseph Stickney. After her husband's death, Carolyn married Prince Aymon de Faucigny-Lucinge (France) and was dubbed Princess Carolyn. The EVP captures her first response to Jason and Grant talking, "Hello, is someone there?" Jason then asks, "Princess are you in this room?" to which a woman's voice is distinctly heard responding, "Of course I'm here, where are you?" There were two spin-offs of the original Ghost Hunters SyFy series. The first was the Ghost Hunters International that debuted in 2008 with the final episode airing April 4, 2012. The second spin-off was the Ghost Hunters Academy aired November 11, 2009, on the Syfy channel. The show's stars Steve Gonsalves and Dave Tango taught amateur ghost hunters how to conduct professional paranormal investigations. The last episode was aired on July 7, 2010. According to Jason Hawes' Facebook page, Ghost Hunters and Pilgrim Films were the ones who initiated the end to the series instead of SyFy canceling the show. If you wish to see any of the 11 seasons of Ghost Hunters, SyFy channel still owns the rights. You can purchase the show by season on Amazon. 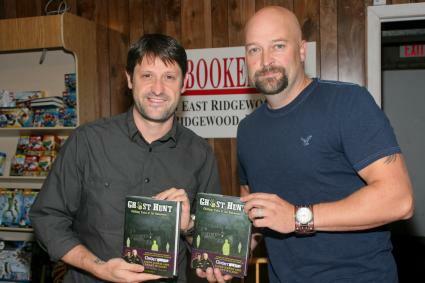 The legacy of the Ghost Hunters SyFy TV series is far-reaching. It created a new reality TV genre with numerous paranormal investigation reality shows following its path.